The Volkswagen Atlas is one of the most recognized vehicles in the current mid-size SUV segment. With the new 2019 Volkswagen Atlas, you get the very best of everything including German handling, performance and luxury. 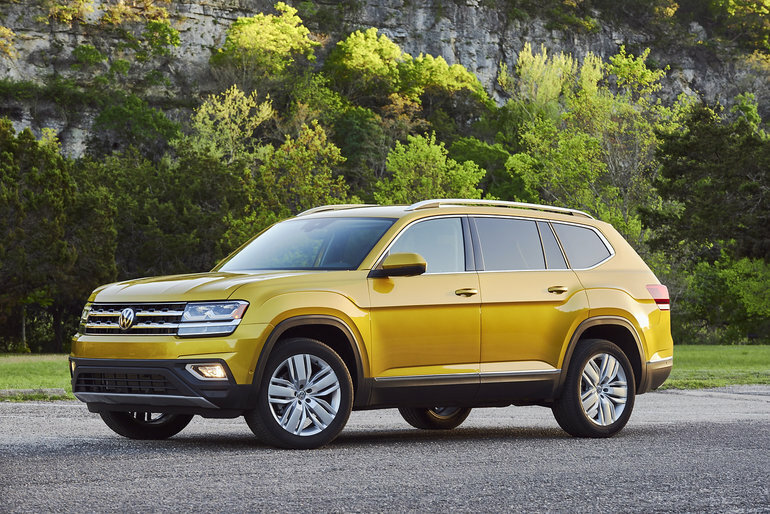 We’ve already covered the 2019 Volkswagen Atlas in another review, now let’s take a look at what others are saying about it. Our tester is an Execline, the top-of-the-line model that comes with the beefier 3.6-litre six-cylinder engine as standard. Lower trims start with a 2.0-litre, four-cylinder turbocharged mill installed that only drives the front two wheels. The V6 is available across the board and brings Volkswagen’s 4Motion all-wheel drive into the mix, so most Canadians will want to plan to make the $4,100 upgrade if opting for the Trendline or Comfortline trims. Climb up and into the Atlas. Your first impression will be: wow, roomy. The second may be that the designers showed less-is-more restraint in the cockpit. (Or you could decide the cabin is too Spartan and find something with overdone plastic wood trim.) Work you way back to the second row, it’s roomy, too, heated on some trim lines, and you’ll find the second row seat folds completely forward without having to remove the child seat. The access lever to the third row is a model of simplicity and once in that final row you’ll find – surprise – the third row is adequate for adults (who aren’t too tall). It’s like owning a minivan without the soccer-mom-and-dad shame. To learn more about the 2019 Volkswagen Atlas, contact us today at Volkswagen Centre-Ville!